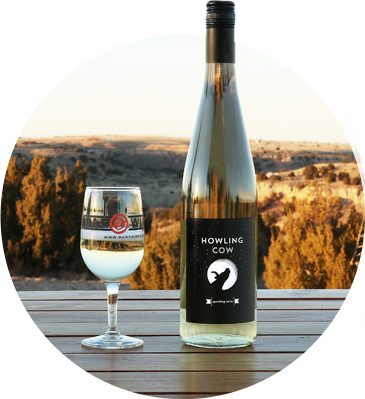 At the edge of Palo Duro Canyon, on the outskirts of Canyon, Texas you’ll find a hidden panhandle gem in Bar Z Winery. 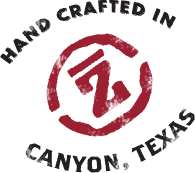 Not to be confused with a vineyard, Bar Z works with Texas High Plains vineyard owners and takes their high-quality Texas grown grapes and makes them into award-winning, full-bodied red wines. Founder and Vintner, Monty Dixon, would tell you he’s been making adult beverages since he was nine years old. In his elementary school library there was a book that gave crude instructions on how to make beer at home. Monty’s precocious and daring nature led to adventures in backyard chemistry. It wasn’t until his teens and young adult years that he would graduate to casual wine-making. But casual wasn’t enough for Monty. This is no vintner’s hobby house. 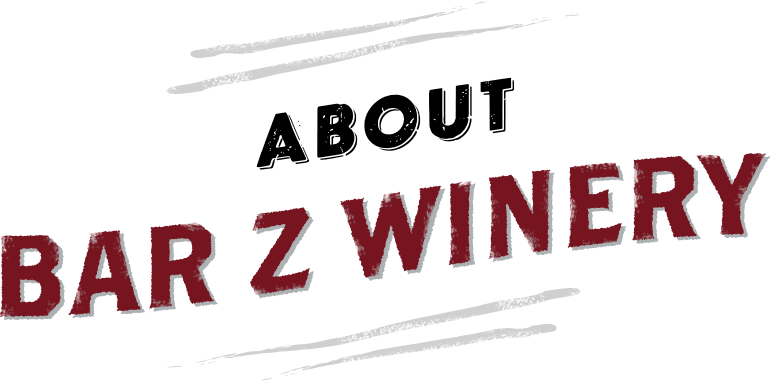 Bar Z Winery combines art, science, and years of experience to create elegant wines. Monty’s passion and hard work go into every bottle making these entirely Texan wines contenders on the world stage. Bar Z Winery has competed against Napa Valley wines, French wines – often considered the greatest – yet their native Texan creations have taken home the gold. Much like his wine, Monty Dixon is unfiltered, robust, and wholly unique. If he has a free moment, he’ll happily bend your ear about the science of wine and Bar Z’s simple, yet effective philosophy: Let the wine be wine. Bar Z Winery prides itself on utilizing the unique Texas terroir to create a wine that expresses the hard work of the vineyard owners, the soil it was grown in, and the love of Texas shared by those who enjoy these unique, award-winning wines. 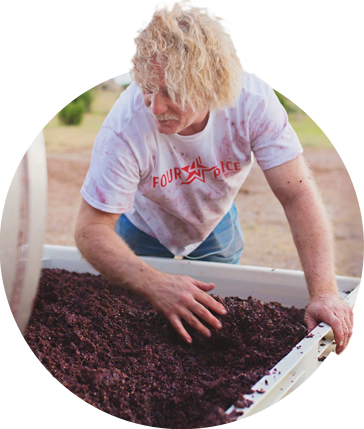 Once the grapes are crushed, Bar Z uses the time-honored method of fermentation, called hand cap management. It starts with pushing the solids (skins, seeds and stems) that rise to the top, back down into the juice to get the maximum extraction of color, flavor and aroma. During active fermentation, this process is repeated multiple times every day. When fermentation is complete, the wine is pressed to separate the solids from the wine. This is where gravity and time start to do their part. The solids that cause wine to be cloudy or hazy settle to the bottom of the tanks during storage. The Texas wine industry has become one of the finest regions in the world. Yes, the industry may still be a child when compared with other wine regions of the world, but it is not in its infancy. The quality of the wine has evolved. For the most part, Texas wine is consistent in quality and unique character. This is due in large part to having an in-state source of education – both in degree programs and continuing education. Another factor contributing to success is the experience of the past three decades. When Texas producers first started out, they had to look at the experiences of growers and winemakers in California, New York and France. Where hundreds – even thousands – of years of experience have helped find the perfect place for the perfect grape, Texas has learned in much less time. The Texas High Plains provides great conditions for growing grapes – deep, well-drained soil, low humidity, warm daytime temperatures and high altitude. This gives us cool nights, a great quality for growing grapes which love the cooling and heating in a 24-hour period. Nonetheless, there are certain High Plains weather tendencies that don’t help vineyards. Texas has lost some growers and vineyards along the way. Today, some of the early growers are left because they learned and adapted to our conditions, manipulating and changing things like pruning methods and irrigation schedules. We also have next generation growers, fresh to the business and others right behind them who can build on current experience, helping to take Texas grapes and wines to the next level. Guests may select 4 different wines to create their own flight. Flights include 4 glasses with 3 oz. each. You can choose your wines or trust our expert staff to curate one for you. All wine is available by the bottle and daily wine selections are available by the glass.